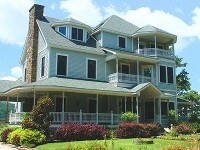 Mountain Memories Bed and Breakfast is a luxury Inn located deep in the Arkansas Ozarks Twin Lakes Country. The mountains surround this spacious home that sits on three acres. Relax on your private balcony overlooking Lake Norfork, or drive just four miles to Mountain Home's largest shopping area. Located one mile from the town square, where musicians gather to play in the summer. Eight luxurious guest rooms, with large private bathrooms. Walking trails on 69 acres , with a 6-1/2 acre lake stocked with fish waiting for the catch-and-release fishermen (and women). 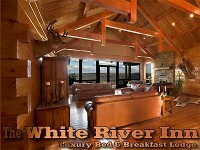 The White River Inn is a 7000 sq ft luxury log lodge on the White River.It was designed and constructed by the owners to provide the most upscale and luxurious accomodations on the White River .Privacy and magnificent views are guaranteed .Come experience southern hospitality at its very best.